A ribbon cutting was held Tuesday, May 16. 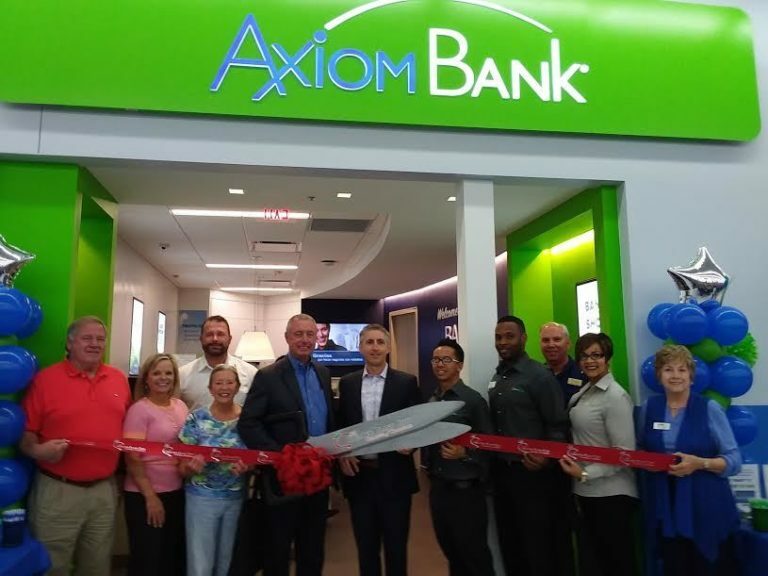 The Greater Plant City Chamber of Commerce held a ribbon cutting for Axiom Bank Tuesday, May 16. Axiom Bank, a federally chartered community bank, provides customer-centric service with flexible financial solutions for consumers and businesses. Axiom Bank has a history of serving local communities, dating back to 1963. The bank is headquartered in Maitland. Central Florida’s second-largest community bank, Axiom has 23 banking centers, including 22 in select Walmart Supercenters® to conveniently serve local communities.